Arianegroup has just launched a partnership with ESA to develop a lunar mission for 2025. It is a robotic mission focused on the use of local resources. 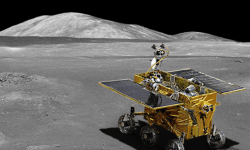 The lunar regolith seems particularly interesting for Arianegroup since it is possible to extract water and oxygen, which are two of the most important resources to accompany a human presence. This European lunar mission could be based on the latest work from ESA’s Seeds program. Each year, it brings together students at the end of the cycle to work on a particular theme of space exploration. 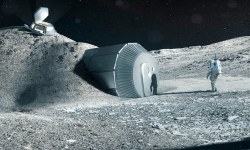 In 2018, they worked on a concept of lunar outpost dedicated to the local production of propellants. Having a source of propellant on the Moon would mean to be able to leave Earth with a lighter weight and take off with a rocket a little less massive. The electrolysis of water could provide the hydrogen and oxygen necessary for the operation of a rocket engine. 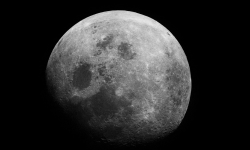 We know that the craters of the Moon’s South Pole are home to ice water. By working with these elements, Arianegroup and ESA could design an important mission to prepare the return of man to the moon.